A Makeup & Beauty Blog – Lipglossiping » Blog Archive Say goodbye to gambling, everyone's a winner with the Liberty Beauty Lottery. 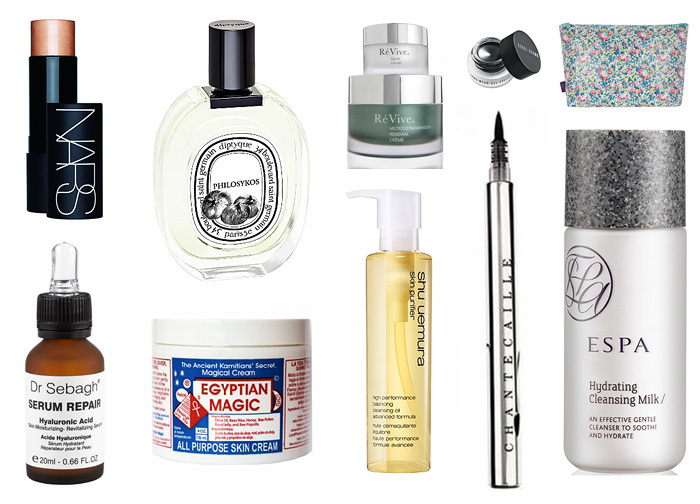 Say goodbye to gambling, everyone’s a winner with the Liberty Beauty Lottery. If lady luck has been bypassing you on her mission to make everyone feel more blessed, take refuge in the beauty department at Liberty tomorrow where you’re guaranteed to prosper. The iconic London department store is launching an exclusive Liberty Beauty Lottery extravaganza, and for once in our lives, we’re all winners. Infact, there are over 3,000 full-sized products to give away and scratch cards will continue to be issued until the last free product has left the store, clutched tightly in the hands of its “lucky” recipient. Prizes include: Molecule 01 100ml, Diptyque Philosykos 50ml, Dr Sebagh Serum Repair, Frederic Malle Candle, Egyptian Magic cream, Laura Mercier tinted moisturiser, Kiehl’s Crème de Corps 125ml, Margaret Dabbs manicure, NARS Laguna The Multiple, ESPA Hydrating Cleansing Milk, Bobbi Brown long wear gel liner, Chantecaille Le Stylo, Magnesium Flakes, Dermalogica Special Cleansing Gel, Aromatherapy Associates Enrich Body Serum, Shu Uemura Cleansing Oil 150ml, ReVive Microdermabrasion Renewal System, Liberty Rose Shower Gel, Liberty Print large washbag and Cowshed Grumpy Cow Body Lotion. This is one streak of good fortune you won’t want to leave to chance. Starts tomorrow at Liberty!